Published on February 1, 2019 at 12:00 am . VANCOUVER, BC, February 1, 2019 — BC Children’s Hospital’s Choices Lottery’s Appreciation Reward Deadline is next Friday – it’s the first bonus deadline of the year, and it’s your last chance to order for all this year’s biggest draws! 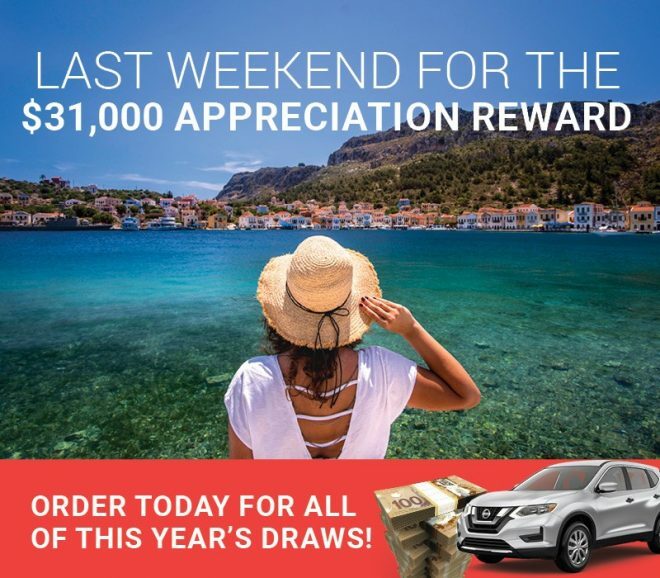 If you purchase your tickets today, you’ll be automatically entered to win the $31,000 Appreciation Reward Draw, the $32,000 February Family Draw, the $35,000 Spring Bonus Draw, the $350,000 in Early Bird Draws, and the $2.8 million Grand Prize Draw. Win the Appreciation Reward Draw, and you’ll win a $31,000 travel package of your choice: a $25,000 gift card from Carlson Wagonlit, and $6,000 cash. City. Beach. Mountains. Snow. Surf. Romance. Adventure. It’s up to you! Win your next dream vacation with Appreciation Reward – it’s a bonus just for you, for BC Children’s Hospital’s loyal and early ticket buyers. 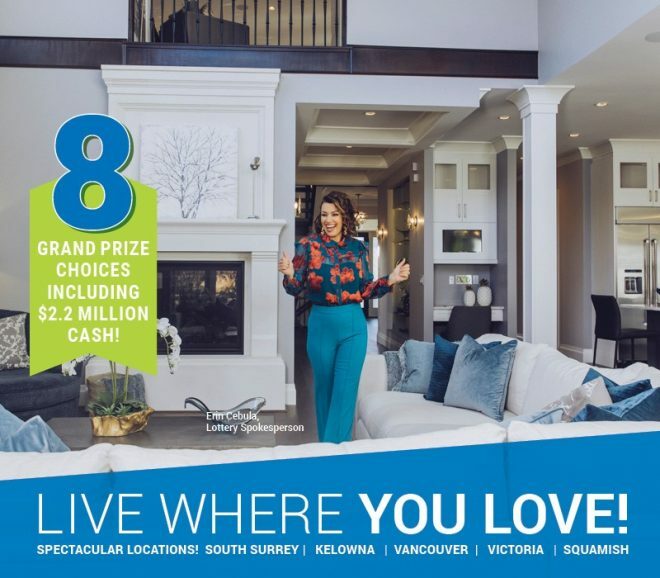 With this year’s Grand Prize Draw, Choices Lottery is giving its biggest winner a choice of 1 of 7 amazing home packages – with places all across our wonderful province, in your favourite cities and areas, like Kelowna, Victoria, downtown Vancouver, and idyllic South Surrey. Or choose $2.2 million tax-free Cash! A Choices Lottery ticket is your ticket to instant riches – or the life you’ve already dreamed of. You can see all this year’s 3,234 prizes and get your tickets online at bcchildren.com, as well as your 50/50 PLUS tickets and your Big Passport PLUS tickets. There will be 111 Big Passport travel or cash prizes awarded, and the 50/50 jackpot could grow to over $2.2 million. Last year’s jackpot reached a whopping $1,763,925.